With early voting now underway in the March 6 primary elections, races up and down the ballot are in the final stretch. This year, Texas has the earliest primaries in the country. And this cycle has an unusually high number of prominent open races, with eight Texans in the U.S. House opting not to run for re-election and more than a dozen in the Texas Legislature doing the same. Lt. Gov. Dan Patrick and Gov. Greg Abbott, both Republicans, are up for re-election and facing primary challengers. So are Land Commissioner George P. Bush, Agriculture Commissioner Sid Miller and Railroad Commissioner Christi Craddick, all of whom are Republicans. We’ve compiled an overview of some of the upcoming races, what forms of ID are acceptable at the polls and how Texas voters can learn more about the 2018 candidates and races. Early voting runs from Feb. 20 through March 2, and many Texans will have the option of voting on the weekend. In counties with a population of 100,000 or more, the polls have to be open for at least 12 hours on the last Saturday and at least five hours on the last Sunday of the early voting period, according to the Texas Election Code. But in smaller counties, options for early voting on weekends vary. 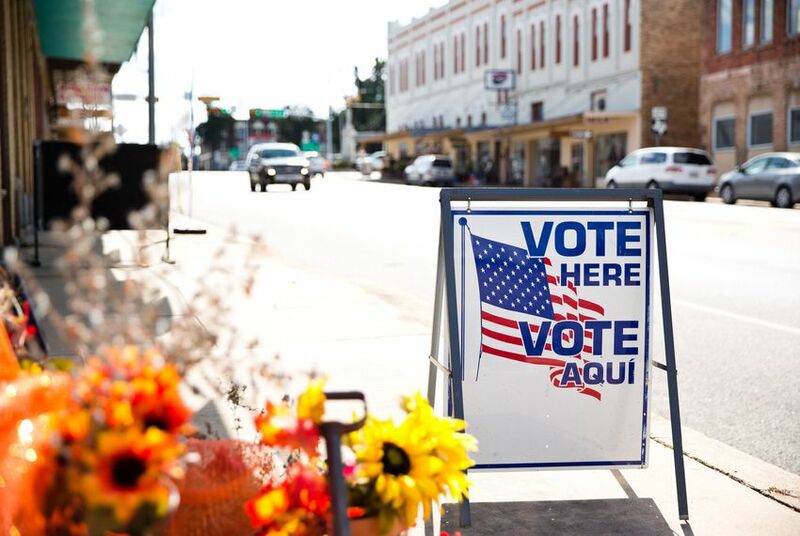 "In short, voters should check with their county elections office to find out what hours the polls will be open during the weekend," said Sam Taylor, a spokesman for the Texas Secretary of State's office. During the early voting period, voters can vote at any location in the county they are registered to vote in, Taylor said. Things work differently on March 6, the day of the primaries, depending on where you live. Some counties participate in the Countywide Polling Place Program, which allows voters to vote at any precinct in their county of registration — even on the day of an election. Voters in counties that do not participate in the program must vote in their specific precinct on Election Day. For both parties, the race for U.S. Senate will be at the top of the ballot. U.S. Sen. Ted Cruz is vying against four other Republicans in his bid for re-election, and U.S. Rep. Beto O’Rourke, D-El Paso, is the most well-known of three Democrats aiming to unseat Cruz. At the state level, nine candidates are crowding the Democratic gubernatorial primary, with the highest-profile being former Dallas County Sheriff Lupe Valdez and Houston entrepreneur Andrew White, son of late Texas Gov. Mark White. Republican Land Commissioner George P. Bush is running for re-election and facing three primary challengers including Jerry Patterson, who previously held the job. Lower on the ballot, all of the seats in the Texas House of Representatives and half of those in the Texas Senate are up for re-election. Below that could be local races for justice of the peace or constable, depending on where you live. In addition, the Republican Party of Texas will pose several propositions to GOP voters at the bottom of its primary ballot related to property taxes, E-verify, toll roads, Obamacare and more. Eight Texans in the U.S. House aren't running for re-election, which has led to some packed races to replace them, including 18 Republicans and four Democrats running for the seat U.S. Rep. Lamar Smith, R-San Antonio, has held for more than 30 years.